Driver fatigue is very dangerous condition created when a person is suffering symptoms of fatigue while driving, often resulting from the hypnotic (Inducing sleep; soporific or hypnosis) effect especially during nighttimes (peak levels at night can be 10 times daytime levels) driving either falling asleep at the wheel or so exhausted, they made serious and fatal driving errors. 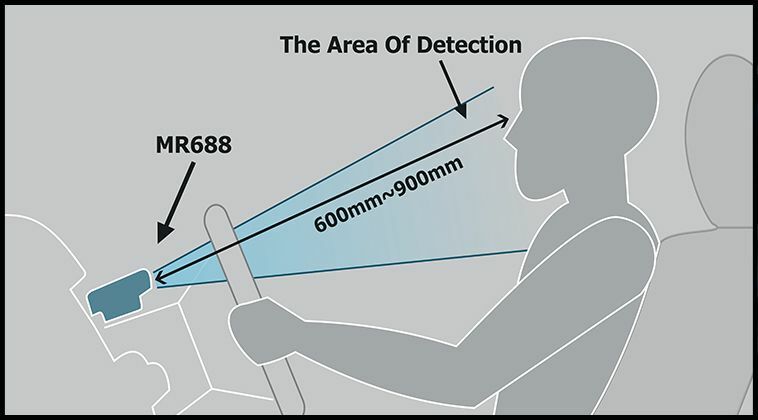 Driver Fatigue early warning system MR688 uses automotive-grade image sensors, which capture infrared images of people, and a Pentium II high-speed digital signal processor for digital image processing and analysis. With its advanced non-contact mode and algorithms, it ensures that driver will be warned promptly when fatigue occurs to protect life and property. MR688 has an attractive appearance and a small size. It is less than one third size of a 4.3-inch Navigator and will not block the driver’s vision. With A universal rotating base it is easy to install and adjust. You can put it right above of the dashboard, or in the middle of the instrument panel. 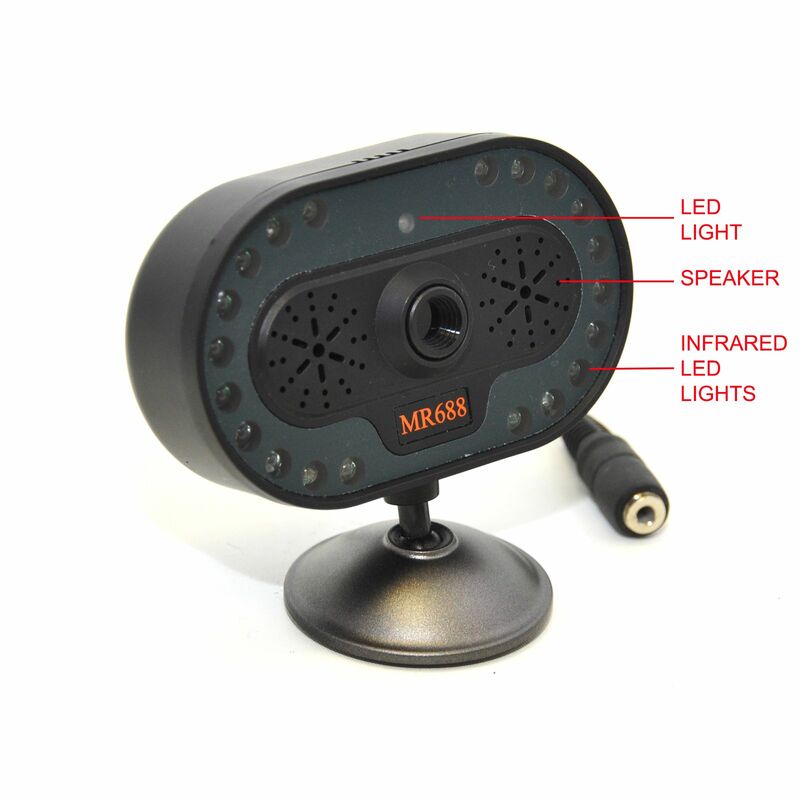 MR688 is an integration of high-end infrared camera, microprocessor, memory modules and alarm system. 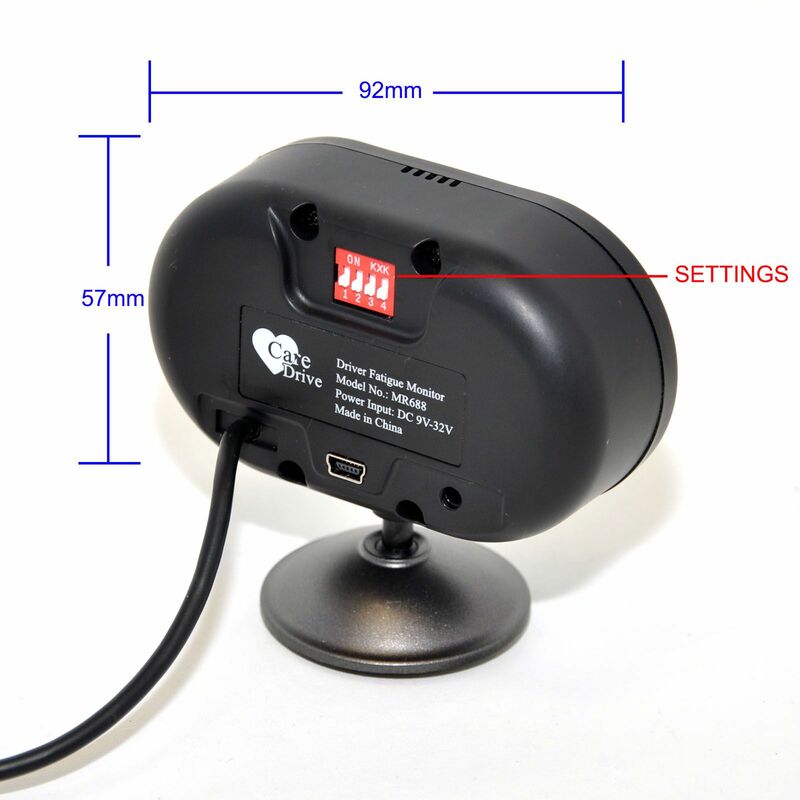 It passes CCC, UL and FCC and has more than 10 patents. How CARE-DRIVE Driver Fatigue Early Warning System works? After the system is connected to power supply for 2 seconds, the green light will flash for 1 second. The system is started. If it is at night, you will notice that there is some dark red lighting for the ultra-red LED. 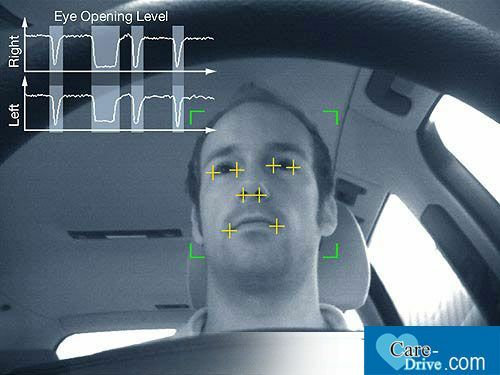 In the first 30 seconds, the system detects the driver’s position and location and analyzes status. It does not make warnings at this stage. After the driver has been driving for more than 30 seconds, the system will make warnings. However, once power is on, the system will indicate if the driver’s eyes are open. If the green light is on, the driver’s eyes are open. If the green light is off, it means that the driver closes eyes or driver is not in the detecting range. You can adjust the camera’s position depending on if the green light is on or not. Under some circumstances, a driver probably will fall in sleep suddenly due to fatigue driving; the early warning system will make a sharp and loud sound to awake the driver at that critical time, which is the other very important function of this system. When the fatigue warning sounds, the driver should pull over immediately to have a rest and avoid an accident. If the driver continues to drive without any rest, the system will remind the driver to have a rest by making a sharp and loud sound whenever necessary. MR688 can also make some friendly reminder of driver’s careless driving to avoid accident. For example, the driver is not focusing on driving and talking to other passengers. The driver bows head and gazes around or spends considerable amount of time of operating audio and navigation systems. Why chose Care-Drive Driver Fatigue Early Warning System? MR688 uses unique pupil identification technology to detect the pupil’s changing characteristics, analyze the eye’s fatigue condition, accurate early warning for real fatigue. MR688 focuses entirely on the driver’s alertness levels or inattention to the road ahead regardless of time of day or weather conditions. When the driver looks around or not concentrates on the road, the alarm will go off to remind drivers. MR688 has a built-in GPS speed detection module, can automatically detect vehicle’s speed. When the immediate speed is lower than setting one, MR688 won't alarm even fatigue characteristics is detected. This function can avoid false alarm and reduce interference to drivers during parking, reversing, or low speed driving. Customers can set over speed via the hand setting instrument or data collection box, when vehicle is over speed, the alarm will go off. When subjected to long shifts, night-driving, disrupted or reduced sleep and rapidly changing schedules, the brain becomes tired and processes slower than normal – resulting in driver performance levels that fall away very predictably. 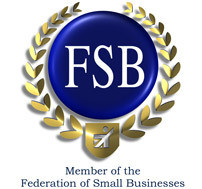 MR688 provides better solutions for enterprises to fleet fatigue management. Accidents are unpredictable and costly. 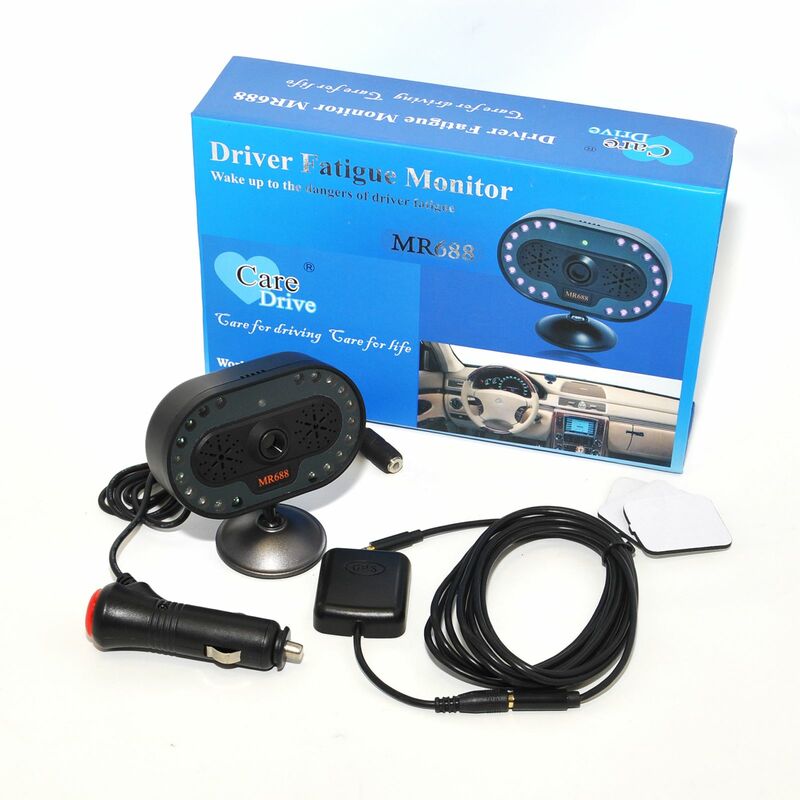 Having the MR688 Driver Fatigue Early Warning System, could reduce accidents that are caused by tiredness and provide a safer driving environment for the drivers.